Susan had just stepped away to answer the phone, but when she returned she saw something pulling her son Jimmy through a shimmering portal. It closed before she could pull him back. To save him, she must find a way to this other world. Before Susan lies a world that no one else has ever seen before... a world where magic is real and anything is possible. Find out who took Jimmy and what they want in Lost Lands: Dark Overlord! 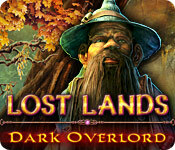 Lost Lands: Dark Overlord is rated 4.3 out of 5 by 33. Rated 5 out of 5 by Majestyx12 from Old fun on Windows 10 I enjoyed every moment of this game. Loved the story line. The puzzles were something I can do. The Hogs were interactive. I bought this one because of the ratings of my follow gamers and was happy for it. Thanks guys. Rated 5 out of 5 by smilingsun72 from Good mommy vs. evil demon! Good dwarf vs. bad dwarf! But you must save your son! One second is all it takes to have your son snatched. Next thing you know your solving awesome puzzles to have a tree's roots grab you and gently lay you in a lost world. And just when you thought you had your boy...he remains out of reach in the hands of a mean little dwarf. And there is this evil shadowy demon you encounter at intervals. Solve the puzzles, to destroy the demon and save your boy! Rated 5 out of 5 by Beeblebrox from Buy it already! I played the SE version on expert, took me about 5 hours to complete. You get a journal, an interactive map, and a little helper that allows you to get items from places you couldn't reach otherwise. 3 difficulty settings plus custom settings. This game is in a league of its own. It is certainly among the best I have played yet. The story is quickly told, evil forces kidnap your son into a parallel universe and you follow and try to get him back. But who cares about the story if there is just so much to do and to explore! 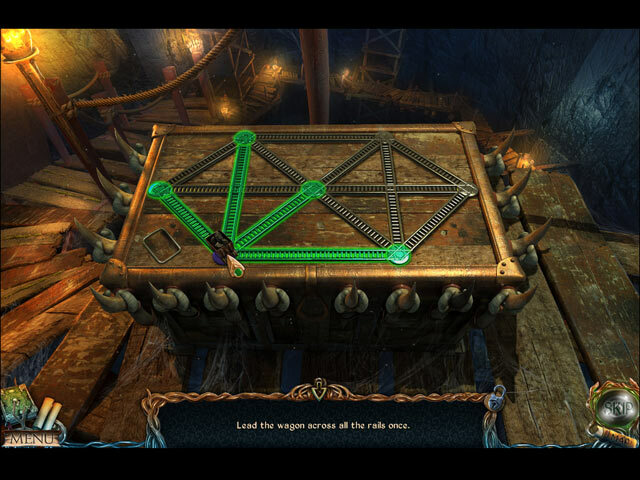 Each location has a multitude of puzzles, places to go, things to find. The art style is rich in details, everywhere are little animated things, insects crawling around, frogs jumping in the water. I was discovering new things everytime I revisited a place. Every location has its own ambient sounds. There is very little music in this game, which I found surprisingly relaxing and it added a lot to the atmosphere. But games can look absolutely stunning and still be boring. Not so this one! There are different types of HOGs, which are difficult but not unfairly so, most are bright and all items are clearly visible once you actually found them. There are classical list-based ones, some where you look for outlined items, in some you need to place items in the scene rather than find them. 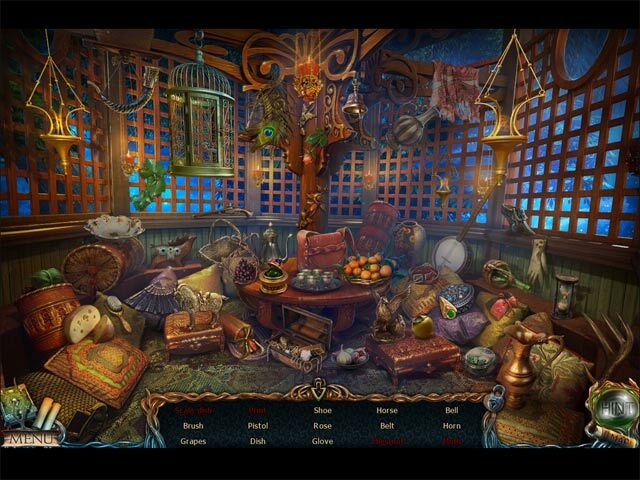 All are interactive and often you need to solve little puzzles, not just open a box or look behind a curtain. You never visit the same HOG twice. The minigames are good, not too easy and not too hard. Some are really innovative e.g. one where you have to reassemble a 3D model castle. Loved that! But where this game really shines is with what I'd call adventure puzzles, where you have to run around, find items and find ways to use them. You get an owl as a helper early on that can pick items from higher places so that you really need to look at the whole screen in order not to miss anything. The game is seperated in three larger sections on the excellent interactive map and even on expert difficulty the currently 'active' section is indicated. I liked that a lot because it cut down on the necessary running around. You will have to backtrack occasionally and all locations stay active till the end. This would amount to a lot of back and forth if the map didn't indicate currently active sections. I did use hints a couple of times when I just couldn't find something, and thankfully it just points you to the active location the first time you click, so it doesn't spoil the fun by telling you immediately what to do. One very minor detail that I found very satisfying nonetheless: You find a dagger early on in the game and you get to keep it for the whole game! And it cuts all sort of things! If you play this type of game regularly you probably understand why I found this extraordinary. Anyway, I hope you can tell that I really enjoyed the game and I'm sure you will, too! At least try the demo, it gives a very good feel for the game. Rated 5 out of 5 by SilentWindDancer from I really enjoyed this game. I don't usually do reviews not because I haven't played or purchased wonderful games but just because I usually don't submit them too often. I have to say that this was a splendid afternoon game. I don't leave music on but the rest of the game had me enthused about it. I liked the graphics and the storyline. It flowed nicely. I also enjoyed the ending. I would purchase this game at the normal price. It was on special when I bought it but I don't have any negative feedback. I really liked this game. Rated 5 out of 5 by ReneThePig from Enjoyed entire game! This was a fun one, start to finish. The adventure was logical and pretty seamless. I knew where to go and what to do and the jump map made it easy to get there. Found myself taking a few notes like an old style adventure game... The HO scenes were good ones - a tiny bit of challenge to make them interesting. Puzzles were mostly really easy but kind of interesting at the same time. 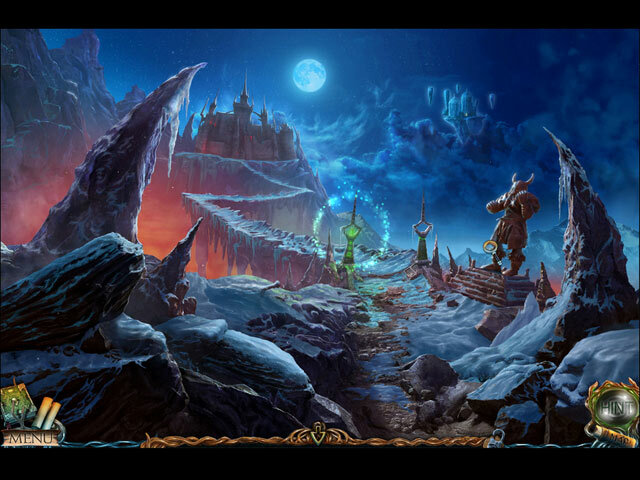 I had a pleasant few hours with Lost Lands: Dark Overlord and highly recommend it! Rated 5 out of 5 by qvo_vantis from I loved this one Great storyline. The graphics and sound were excellent! Nice hidden scenes, not ordinary some of them. Long gameplay! Really loved this one. Rated 5 out of 5 by tutortime from Excellent Game! Had a great time playing this game. It was beautiful and the mini games were fun and different. Rated 5 out of 5 by kiwibeard from Well worth playing I have played a lot of games from BF and this is one of the best. I only played the SE but thoroughly enjoyed it. Nuff said.